Teledyne ICM have released a new range of extra slim and light portable X-ray scanners for the security market. Building on the success of its predecessor the FLATSCAN range, the all-new FLATSCAN XS is a direct response to the evolving portable X-ray market. 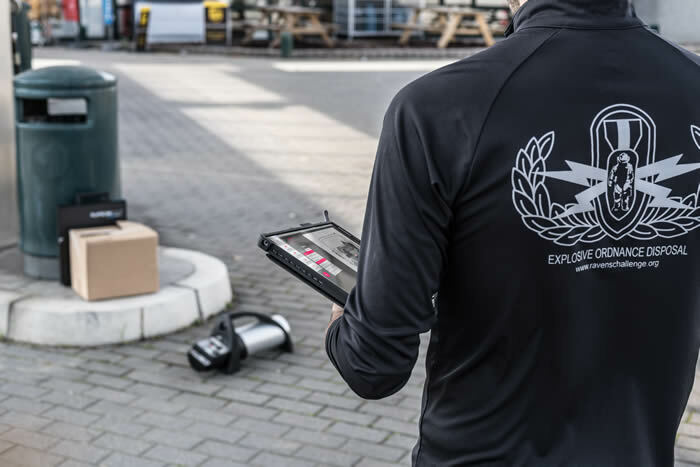 Experts in many fields such as EOD, customs and law enforcement agencies are constantly requiring lighter, more compact and ever more mobile X-ray solutions. With the increasing use of EOD robots and the constant weight of 80-lb (36-kg) bomb suits, extra-light equipment is a godsend for many operators. This new digital panel comes in two distinct sizes. The FLATSCAN30 XS enjoys a detection area of 30 in (76 cm) across, enabling scanning of large objects in one single shot, while the FLATSCAN15 XS is a reduced panel of 15 in (38 cm) - perfectly fit for Teledyne ICM’s new backpack solution. Flat panel, generator, and tablet can easily fit into one single backpack, enabling the end user to carry this carbon based detection equipment with ease and comfort. Combined with Teledyne ICM’s unique constant potential X-ray sources CP120B - CP160B and their reduced focal spot, the new FLATSCAN XS scanners deliver sharp, clear and detailed images of any object at unbeatable speed. Now backed by high-tech software, Teledyne ICM’s expertise is more than ever at your fingertips. With improved resolution, added image editing capabilities, and stitching functionalities, the updated FLATSCAN software can reveal with extended accuracy the content of any item. On the battlefield, in a crowded airport, or at a busy checkpoint, FLATSCAN XS scanners answer the needs of many X-ray professional around the world.